I have been home from my Europe trip for about a week and have been craving pastry (so much so, that I made Parmesan Puff Pastry Cheese Pie, but that is another story, another recipe, another day). I needed a healthy treat, and I needed it fast. I usually have shredded coconut in my pantry, but had to make a special trip for this lot to my fave store in Perth Weigh N Pay. If you live in Perth or are visiting Perth, make sure you stop by. It has everything and I mean EVERYTHING I use in my recipe books that is difficult or unique as far as ingredients go! Anyhoo, I digress. An exciting new product from the best vanilla producers on the planet, Heilala, had been delivered to my hot little hands, Extra Virgin Coconut Oil (EVCO) and so I was looking for a way to use that as well. 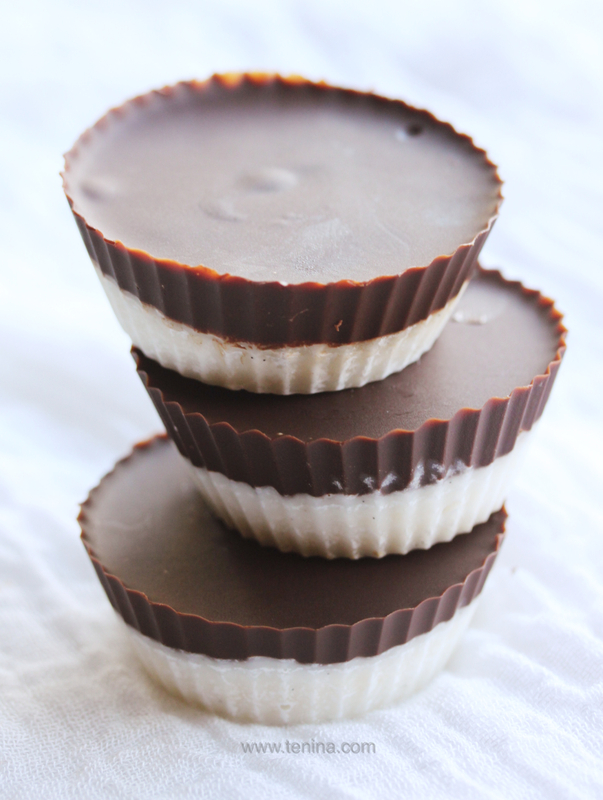 Thus the evil genius turned to an easy and popular combo, Chocolate and Coconut or ChocoNut. I hope you enjoy. They are filling, (so you treat yourself less than you would with other stuff) they are full of good fats, (read all about coconut oil benefits here) and they are completely delish without all the guilt. Happy Mixing.